Backspin, a leading golf magazine in Ireland, has named Nicklaus Design’s Mount Juliet the No. 1 parkland-style golf course in Ireland. The magazine has also recognized Killeen Castle as No. 11 on its list of the top-30 parkland-style courses. 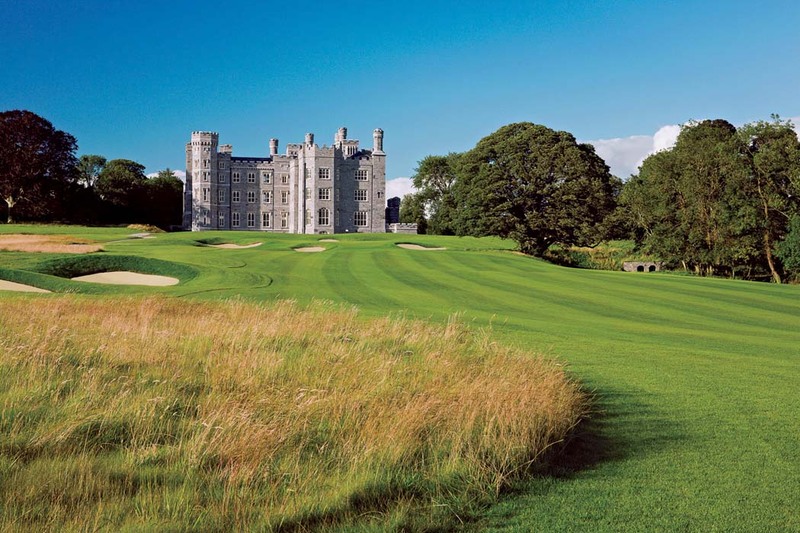 Mount Juliet and Killeen Castle are the only Jack Nicklaus Signature Golf Courses located in Ireland. This is the fifth consecutive time Mount Juliet has earned the magazine’s top spot among parkland layouts. Backspin has been conducting Irish golf course polls since 2008, treating parkland and links courses separately. The 2016 poll reflects the views of 75 experienced golfers with a deep knowledge and appreciation of Irish golf. Each voter was provided with a complete list of Irish golf courses in both categories. Voters were then asked to nominate their 15 favorite courses in each category in order of preference. Special emphasis was placed on design, presentation, setting, challenge and the personal enjoyment factor. Mount Juliet accrued 15,065 points during the ranking process, making it a clear choice for Ireland’s No. 1 parkland-style golf course at 3,715 points higher than the No. 2 course. The Jack Nicklaus Signature Golf Course opened for play in 1991 just 20 minutes outside of Kilkenny. Set in the rolling pastures and woodland of Ireland’s sunny South East, the course is both captivating and memorable. It hosted the Irish Open from 1993 to 1995 and again in 1999, and was host to the WGC American Express Golfing Championship in 2002 and 2004. Killeen Castle, ranked No. 11 on Backspin’s list of the best parkland-style golf courses, became Nicklaus’ second design in Ireland in 2008. The course was host of the 2011 Solheim Cup, the prestigious international match-play event on the LPGA Tour, and also hosted the Ladies Irish Open from 2010-2012. Spaciously rambling over 350 acres among superb natural woodlands, pure bent grasses have created putting surfaces that run true and fast year-round.